We will give you a non-binding and free estimate immediately! Contact our 24/7 customer care assistants at 020 3746 1366 or via our online form here. Residents and business owners in the area tend to choose our carpet cleaners Hale End IG8 because we are a friendly, affordable and reliable professional cleaning services provider. We have been operating for over 10 years and Ashlee House Cleaning has established itself as one of the leaders in the local carpet cleaning business. We can get all types of carpets cleaned in a timely and safe manner. Our services are completely covered by insurance, and we work with innovative professional cleaning equipment, along with non-toxic and eco-friendly detergents. We also offer special fibre protection for your carpets with the help of a Scotchgard protection layer. Our cleaning services can be provided on the same day or on any other day of the year. Because we care for our customers, we have a friendly and highly efficient 24/7 customer call centre to process all requests for discounts information, quotes and bookings. Go ahead and book our carpet cleaning service today - we will help you clean and extend the life of your carpet! 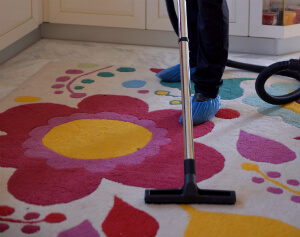 Ashlee House Cleaning provides top quality, reliable and affordable rug and carpet cleaning in Hale End IG8, suitable for commercial and domestic properties as well. We are constantly investing in hiring the best cleaners and personnel, as well as in buying the latest and most modern professional cleaning technologies, tools and Prochem certified methods for cleaning, which are perfectly safe and tested for the environment, animals and people. Our cleaners all work in accordance to the quality and safety procedures which we have implemented, as well as the detailed cleaning checklists which we have developed for every professional cleaning service which we provide. We use the most efficient carpet cleaning methods to guarantee that your carpets and rugs are properly sanitised, the dust mites are killed and removed and that all the dirt and residues are gone, while at the same time - the carpet remains undamaged and safe. Carpet session begins with an examination, testing of the detergents which will be used and hoovering. Only then our professional carpet cleaner will proceed to deep clean the carpet. When steam carpet cleaning is performed, the cleaners use a professional hot water extraction cleaning machine. This method is perfect for resilient fibres. For more delicate carpet and rug materials, we highly recommend dry carpet cleaning in Hale End. Our cleaners use special tools to apply special dry compound cleaning foam in the fibres of the carpet. The dry cleaning solution is left to stay there for some time and after that it is removed with a vacuum cleaner. Together with it, any residues and dirt are removed. Our deep carpet cleaning is suitable for both synthetic or natural carpets. Take advantage of our easy booking system right away! No deposit is required for hiring our carpet cleaning experts in Hale End IG8. Get in touch with our 24/7 customer support at 020 3746 1366 or online here. Pick any day you want for our cleaning service. In fact, our quite affordable prices are fixed, so there are no hidden charges. You can get preferential prices if you are a regular customer, a landlord, estate agency or if you make an early booking. You will get a discount for ordering several of our cleaning services now!